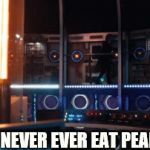 Renember never ever eat pears! 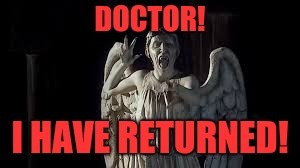 The weeping angels are in fact women. Only in one episode there was a male weeping angel. I dont know? I like the one with the statue of Liberty the most. These two episodes are the best. On second thought, I agree. The Statue of Liberty episode had me in tears. I guess that makes it more potent than the others.